Are you shopping for last-minute gifts, or looking for the perfect unique item to fill someone's stocking? These present options are winners in so many ways: They're thoughtful, beautiful, and exactly what she's hoping for. Whether you're shopping for a beauty lover, a fashionista or the girl who just loves Christmas, these are the gifts she's going to cherish for years. Click through below to shop our favorite last-minute gems. We're completely obsessed with this fragrance from Stella McCartney -- it's fresh and light, and will have you dreaming of the spring season. This ring -- with optional stacking rings to accompany -- is one of those classics that will become part of your daily life. Plus, AOL readers can use code ANANDAxAOL to get 10% off any order! We love Jurlique for so many reasons and this stocking stuffer is perfect for anyone who loves the scent of rose. 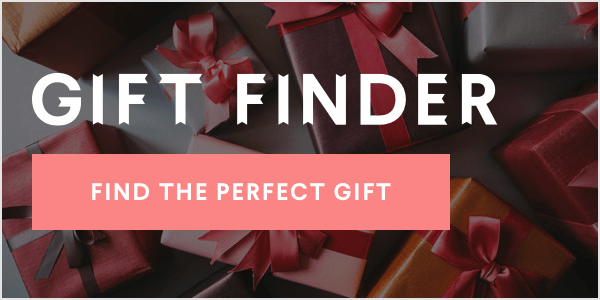 Give the gift of (convenient!) wellness -- TroupeFit is one of those incredible apps that lets you request a trainer to come to you and work out with you at home, whenever works for you. Another absolute classic, this new fragrance from Alexander McQueen perfectly embodies the brand. She'll love it. She can never have too many scarves, and as the temperatures drop she'll be so happy to reach for this stylish one. Everyone loves sparkling wine, so this makes the perfect gift -- and best of all, you can get it online *or* run to your local store if you're shopping really last-minute! These are just too cute! For anyone who loves dogs and Christmas, these salt and pepper shakers will be a hit. Winter is officially here, so give the gift of well cared for shoes, one everyone will thank you for! Gel manicures are all the rage, but getting it done at the salon can cost so much! This is your solution, for the glam girl in your life -- her own at-home gel manicure kit! Make a handbag stand out even more with these fun accessories -- to truly make it "pop." For the social media-obsessed, this phone case works miracles. It's called the Lumee, and it's like a portable lighting set for your selfies. Understand, you can *never* go wrong gifting a fabulous pair of sunglasses -- and these will fit perfectly in her stocking.